Few terms in personal finance are as important, or used as frequently, as “risk.” Nevertheless, few terms are as imprecisely defined. Generally, when financial advisors or the media talk about investment risk, their focus is on the historical price volatility of the asset or investment under discussion. Advisors label as aggressive or risky an investment that has been prone to wild price gyrations in the past. The presumed uncertainty and unpredictability of this investment’s future performance is perceived as risk. Assets characterized by prices that historically have moved within a narrower range of peaks and valleys are considered more conservative. Unfortunately, this explanation is seldom offered, so it is often not clear that the volatility yardstick is being used to measure risk. Before exploring risk in more formal terms, a few observations are worthwhile. On a practical level, we can say that risk is the chance that your investment will provide lower returns than expected or even a loss of your entire investment. You probably also are concerned about the chance of not meeting your investment goals. After all, you are investing now so you can do something later (for example, pay for college or retire comfortably). Every investment carries some degree of risk, including the possible loss of principal, and there can be no guarantee that any investment strategy will be successful. That’s why it makes sense to understand the kinds of risk as well as the extent of risk that you choose to take, and to learn ways to manage it. Even though you might never have thought about the subject, you’re probably already familiar with many kinds of risk from life experiences. For example, it makes sense that a scandal or lawsuit that involves a particular company will likely cause a drop in the price of that company’s stock, at least temporarily. If one car company hits a home run with a new model, that might be bad news for competing automakers. In contrast, an overall economic slowdown and stock market decline might hurt most companies and their stock prices, not just in one industry. It seems obvious that if the average annual returns of two investments are identical, their final values will be, too. But this is a case where intuition is wrong. If you plot the 20-year investment returns in this example on a graph, you’ll see that Steady Freddy’s final value is over $2,000 more than that from the variable returns of Jekyll & Hyde. The shortfall gets much worse if you widen the annual variations (e.g., plus-or-minus 15 percent, instead of plus-or-minus 5 percent). This example illustrates one of the effects of investment price volatility: Short-term fluctuations in returns are a drag on long-term growth. Note: This is a hypothetical example and does not reflect the performance of any specific investment. This example assumes the reinvestment of all earnings and does not consider taxes or transaction costs. Market risk: This refers to the possibility that an investment will lose value because of a general decline in financial markets, due to one or more economic, political, or other factors. Inflation risk: Sometimes known as purchasing power risk, this refers to the possibility that prices will rise in the economy as a whole, so your ability to purchase goods and services would decline. For instance, your investment might yield a 6 percent return, but if the inflation rate rises to double digits, the invested dollars that you got back would buy less than the same dollars today. Inflation risk is often overlooked by fixed income investors who shun the volatility of the stock market completely. Interest rate risk: This relates to increases or decreases in prevailing interest rates and the resulting price fluctuation of an investment, particularly bonds. There is an inverse relationship between bond prices and interest rates. As interest rates rise, the price of bonds falls; as interest rates fall, bond prices tend to rise. If you need to sell your bond before it matures and your principal is returned, you run the risk of loss of principal if interest rates are higher than when you purchased the bond. Reinvestment rate risk: This refers to the possibility that funds might have to be reinvested at a lower rate of return than that offered by the original investment. For example, a five-year, 3.75 percent bond might mature at a time when an equivalent new bond pays just 3 percent. Such differences can in turn affect the yield of a bond fund. Default risk (credit risk): This refers to the risk that a bond issuer will not be able to pay its bondholders interest or repay principal. Liquidity risk: This refers to how easily your investments can be converted to cash. Occasionally (and more precisely), the foregoing definition is modified to mean how easily your investments can be converted to cash without significant loss of principal. Political risk: This refers to the possibility that new legislation or changes in foreign governments will adversely affect companies you invest in or financial markets overseas. Currency risk (for those making international investments): This refers to the possibility that the fluctuating rates of exchange between U.S. and foreign currencies will negatively affect the value of your foreign investment, as measured in U.S. dollars. In general, the more risk you’re willing to take on (whatever type and however defined), the higher your potential returns, as well as potential losses. This proposition is probably familiar and makes sense to most of us. It is simply a fact of life — no sensible person would make a higher-risk, rather than lower-risk, investment without the prospect of receiving a higher return. That is the tradeoff. Your goal is to maximize returns without taking on an inappropriate level or type of risk. The concept of risk tolerance is twofold. First, it refers to your personal desire to assume risk and your comfort level with doing so. This assumes that risk is relative to your own personality and feelings about taking chances. If you find that you can’t sleep at night because you’re worrying about your investments, you may have assumed too much risk. Second, your risk tolerance is affected by your financial ability to cope with the possibility of loss, which is influenced by your age, stage in life, how soon you’ll need the money, your investment objectives, and your financial goals. 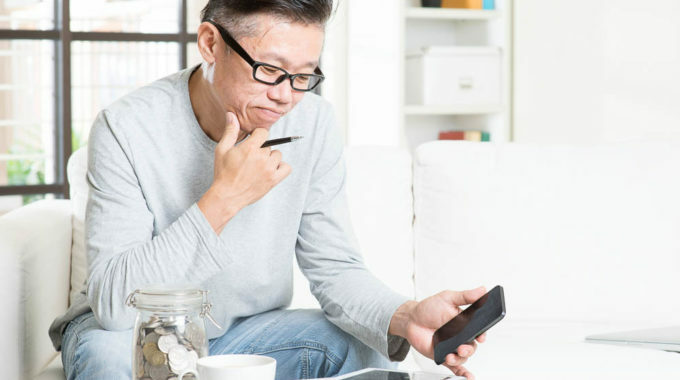 If you’re investing for retirement and you’re 35 years old, you may be able to endure more risk than someone who is 10 years into retirement, because you have a longer time frame before you will need the money. With 30 years to build a nest egg, your investments have more time to ride out short-term fluctuations in hopes of a greater long-term return. Don’t put all your eggs in one basket. You can potentially help offset the risk of any one investment by spreading your money among several asset classes. Diversification strategies take advantage of the fact that forces in the markets do not normally influence all types or classes of investment assets at the same time or in the same way (though there are often short-term exceptions). Swings in overall portfolio return can potentially be moderated by diversifying your investments among assets that are not highly correlated — i.e., assets whose values may behave very differently from one another. In a slowing economy, for example, stock prices might be going down or sideways, but if interest rates are falling at the same time, the price of bonds likely would rise. Diversification cannot guarantee a profit or ensure against a potential loss, but it can help you manage the level and types of risk you face.